Maddox AV aims to be your go-to provider of smart home technology, home theater installation, automated lighting and beyond in Arundel County. Whether you’re planning ahead for your new home or are looking to optimize and customize your existing home, Maddox AV is here to provide you with the top quality products and services you need. Contact us today! While many people have chosen to install smart home technology in their homes, many people are still unclear as to how it can benefit them. In this blog post, we’ll look at a few examples as to how smart home technology like automated lighting and temperature control can be of benefit to your home. In the last decade, technology has moved at a rapid pace, providing us with advancements that have made our lives more convenient. Whether you’ve been a homeowner for decades or have recently purchased your first home, most everyone knows the struggle of accidentally leaving lights, appliances or other electronics on. Whether you left home in a hurry that morning on your way to work, or simply forgot about them before leaving, the moment when it dawns on you that you forgot to turn them off is fraught with frustration. Whether you’re on vacation in a completely different state or country or simply unable to get away from work, in the past, the ability to correct this minor error has proven to be difficult if you were unable to go home and manually correct it for yourself. Thanks to the developments in smart home technology and Maddox AV, however, making that correction is now easier than ever. Smart home technology allows you the convenience of being able to control your home’s lighting, temperature, and other aspects in a way that’s simple, easy to access and incredibly convenient. It allows you to control all these aspects from the convenience of your smartphone or tablet at any time, from any location. Have you left home in a flash trying to catch an international flight, only to find yourself second-guessing as to whether you shut off the lights once you’ve reached your destination? Simply pull it up on your smartphone or tablet and make the changes yourself in a matter of seconds. It’s really that simple, and having control over your home’s lighting and beyond has never been easier and more accommodating. Smart home technology allows you to customize and personalize your living spaces to fit your specific needs and preferences. Are you wanting to have better control over your lighting depending on your mood or the time of day? Are you looking to customize your home’s temperature so that it perfectly suits your preferences? 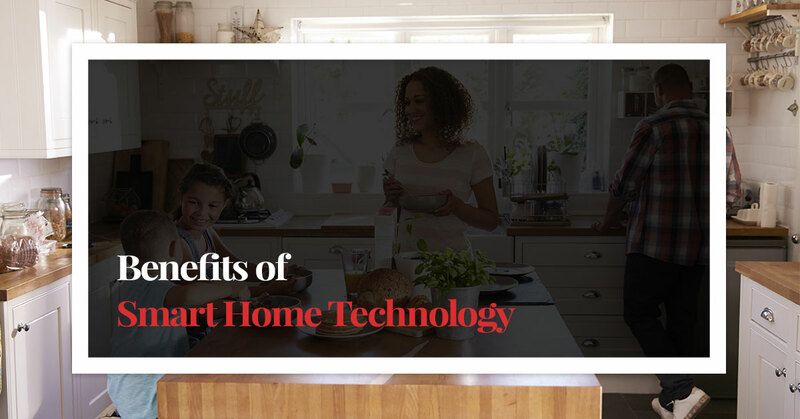 Smart home technology allows you to truly customize your home’s lighting, heating, cooling and more, helping you achieve a level of comfort that you may have previously thought unattainable. Inevitably, when you think about all the times that you’ve accidentally forgotten to shut lights off, that’s money that you’ve spent on utilities that you didn’t need to be spending. Because of the fact that you perhaps didn’t have the ability to shut them off in the past, you simply had to deal with the lights being left on until you were able to shut them off manually. Every instance like this can add up, but with now having the ability to control your home’s lighting and more from any locale at any time, you’ll notice that you’ll be saving money on your monthly utilities. Those are just a few examples of how smart home technology can benefit you. Whether you’re looking to assert more control over your home’s heating, cooling, and lighting, want to customize things to fit your own personal preferences or are aiming to save money on your monthly utilities, Maddox AV is here to provide you with the best smart home systems in Arundel County. To learn more about our smart home systems or other services, including multi-room audio systems and monitoring and home theater design and installation, contact us today.